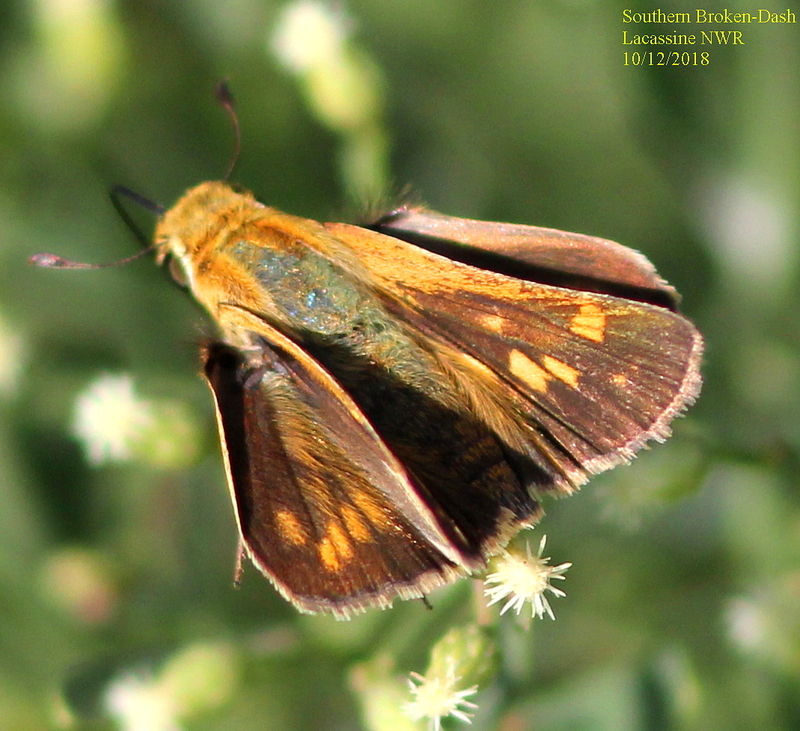 Observation notes: This appears to me to be a female Southern Broken-Dash. 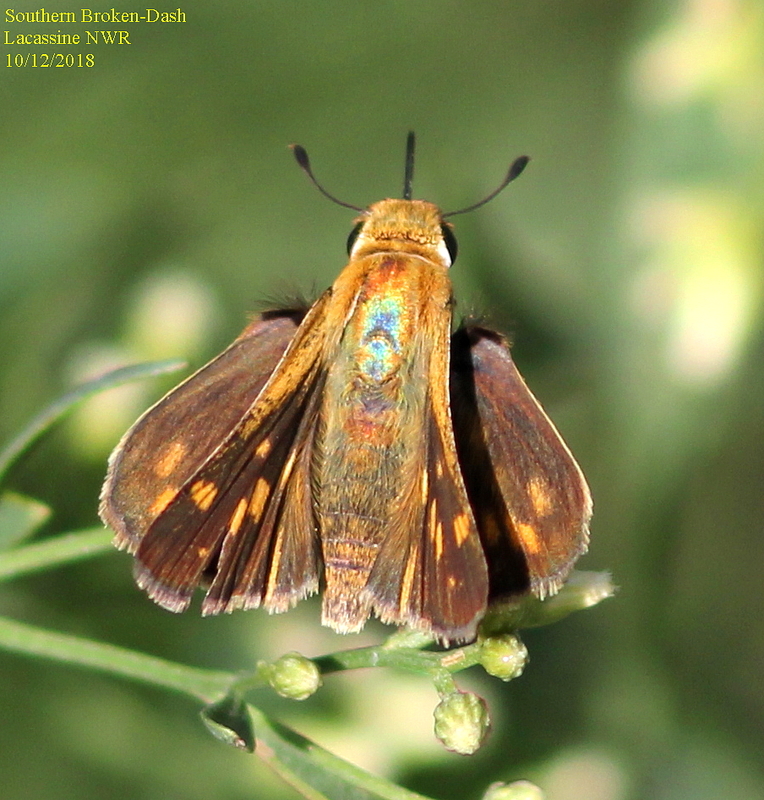 Unfortunately, I was not able to get a photo of the ventral side. This is probably a first record for Cameron Parish, if correctly ID'd.